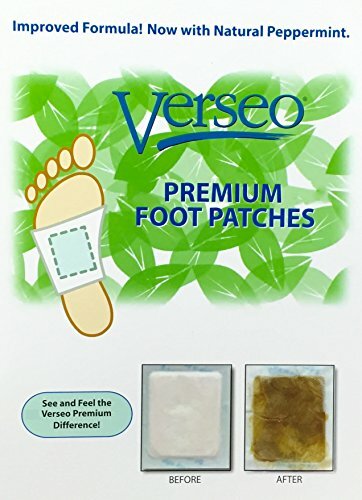 The Verseo Detox Foot Patch is the original all-natural patch that you can wear overnight to revitalize your system, which may need relief from heavy metals and other toxins. Don't be fooled by cheap imitations. Verseo Detox Foot Patches use all-natural ingredients at the optimum blending ratios. Japanese scientists took over 24 years to develop this detoxification technology. The patch provides an unparalleled and effective external cleansing experience that can relieve arthritis pain, increase energy, reduce stress, improve circulation, enhance mental focus and concentration, soothe headaches and more. These all-natural, premium foot pads contain vegetable dextrin, menthol and other natural ingredients. Cleanse & Entergize your body. Japanese scientists took over 24 years to develop this technology. SILKY HANDS - Restore Moisture To Get Smooth And Beautiful Hands With Silky Hands Scrub, Made Of 100% Natural Ingredients.